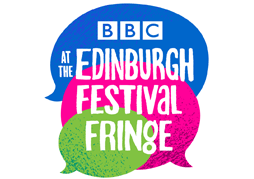 For the last two years, DorkyDad has hosted the BBC Edinburgh Fringe Poetry Slam. It’s an exciting thing – four nights of heats, with six poets competing in each one, and the winner from each night going on to compete in a grand final. It has finally cured me of my dislike of poetry slams – I get all the excitement of watching great spoken word, and the pride that comes with watching him on the stage, without the nerves of seeing him compete. I am super chuffed that he has been asked to host for a third time this year, and looking at the lineup, it looks like the best ever. The Slam features 24 of the best performance poets in the UK – 12 women and 12 men – including UK National Champions, Scottish National Champions, two former BBC Slam Champions and the Scottish Makar. Whoop whoop! 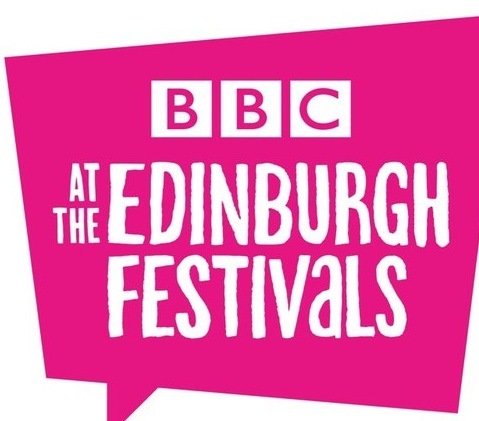 It’s almost Edinburgh Fringe time, and I am hugely excited that DorkyDad has been asked to compere the BBC Poetry Slam again. The Slam took place for the first time last year, and it was an absolutely brilliant line-up of poets, but this year it’s EVEN BETTER! (It’s actually a bit ridiculous how good it is.) This year it will feature the 2011 BBC Slam Champion, Catherine Brogan; Scottish Makar Liz Lochhead in her first ever Slam competition; and a special guest appearance from the 2012 Paris World Champion, Harry Baker. 0.1. One-tenth. It takes ten of them just to make a single one. A very small number, 0.1. Five judges. Three rounds. 15 different scores. My highest was 9.8 out of 10. I had three 9.7s. One-tenth of a point. And that is the difference. I did not make it through the Round of Death. My new friend, Chris Tse from Canada, scored 79.8. I scored 79.7. And Roberta from Brazil — more on her in a bit — came in at 81.2. They are both in the semi-finals tonight. And I will be watching from the audience. People were hugely kind and supportive. Roberta, who it turns out is a lovely person from a large family, gave me a long hug and cried on my shoulder. Chris actually apologized. At least a dozen onlookers and about half the poets came up and said I deserved to go on. A woman who has helped organize the World Slam every year took me aside and said, in her opinion, I was the strongest poet/performer in the entire competition. I wasn’t the best poet/performer, actually. I predict the finals will come down to Roberta from Brazil, David from Quebec and Gabrielle from France. They are all dynamic and intelligent. Their words arrive with sudden impact. They bring light and passion and anger and joy. They are really, really good. Someone asked if I felt bad. And I just don’t. One-tenth of a point is far too small a number to define a person or a time in their lives. Actually, I feel pretty good. I am in Paris, our favorite city (after Edinburgh, of course.) I have just competed, and competed well, against the best Slam Poets in the world. I have made new friends, and am now going to take the next few days to slow down, sit at some sidewalk cafes and watch this part of the world roll by. It was a long winter in many ways, and for the first time in months, I can feel the sun. What I do feel is grateful, especially to some people back in Scotland. Jenny Lindsay and Anita Govan were two of the first people to invite me to read in public when I came to Edinburgh six years ago. Bram Gieben spent time with me explaining the mysteries of Slam. And Robin Cairns in Glasgow brought me to the Rio Cafe, and then pushed for me to have a spot here at the World Slams after the Aye Write Festival. And of course special thanks to Jim Ewing, who not only came all this way to cheer me on, but also made me laugh out loud at the Open Mic after last night’s competition by reading his poem about why he hates the France in general and people from Paris in particular! One-tenth, DorkyMum. So close. But it’s okay. I need all the other nine-tenths to send my biggest love to you and DorkySon. Your Slam DorkyDad will be home soon.